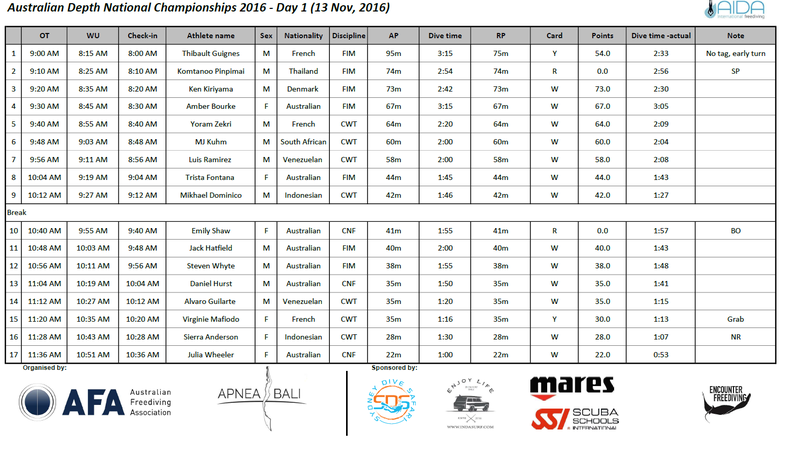 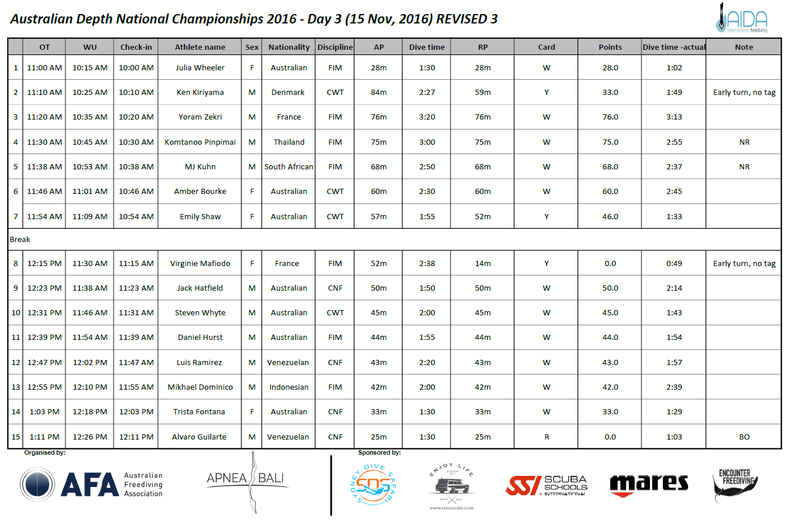 After the success of last year’s inaugural event, the Australian Freediving Association returned to Tulamben, Bali from the 13-16th November for the 2016 Australian Depth Nationals. 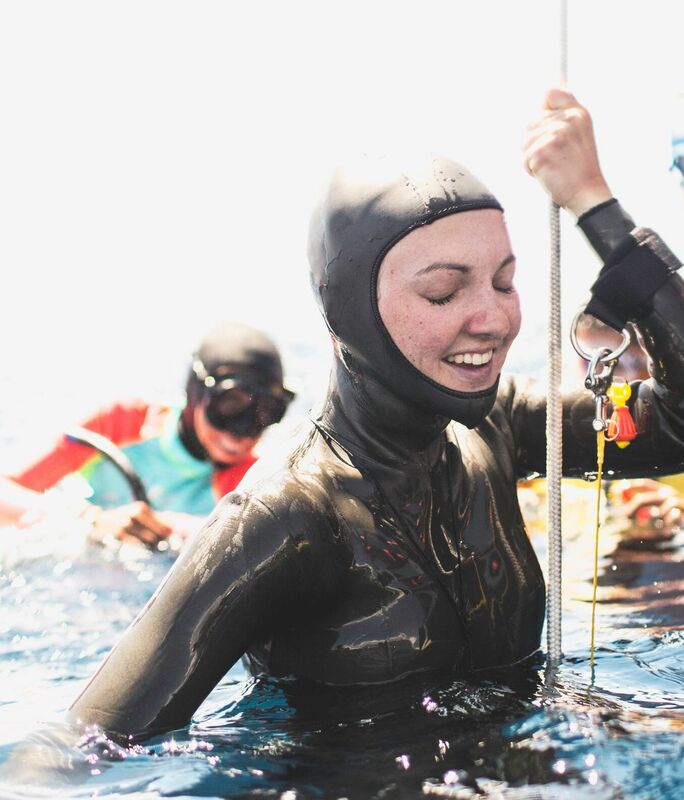 Partnering with Apnea Bali, the competition was another great affair, with a 58m Constant No-Fins national record highlight from Brisbane Freedivers’ Amber Bourke. 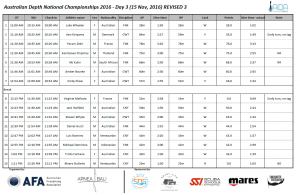 The competition was run under AIDA International rules across three days of competition. 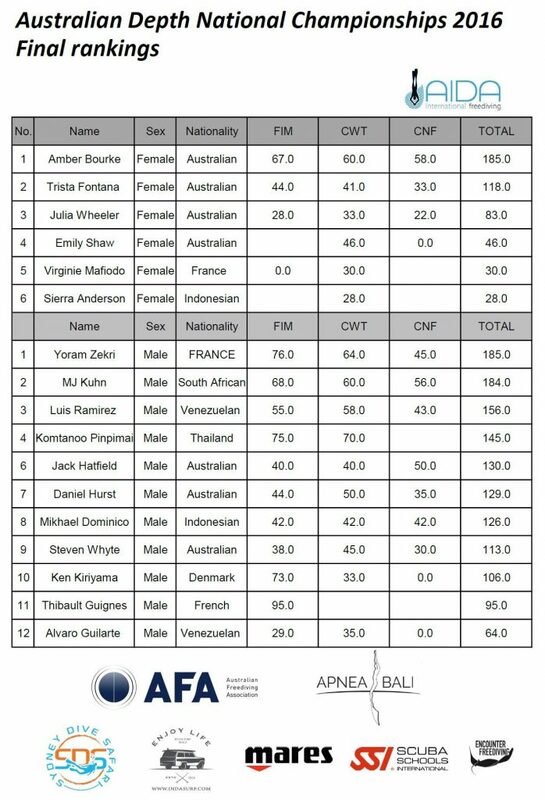 Overall standings were determined by the total sum of points from each discipline (CWT, FIM and CNF). 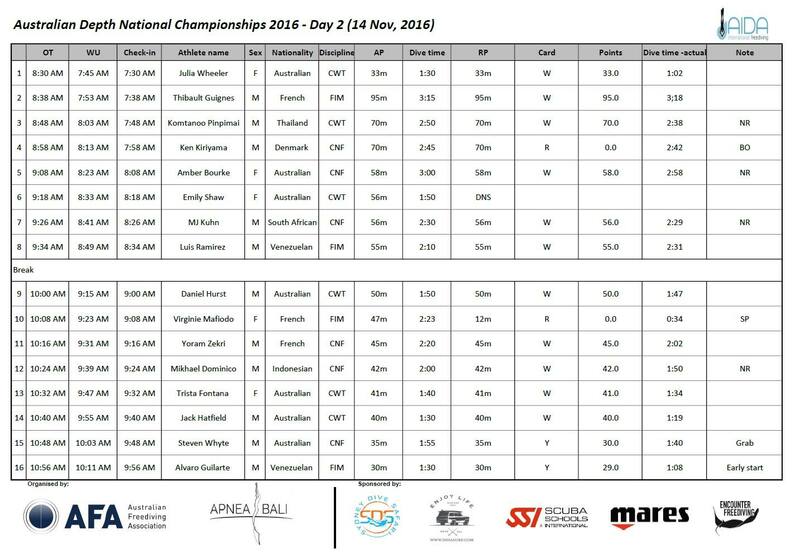 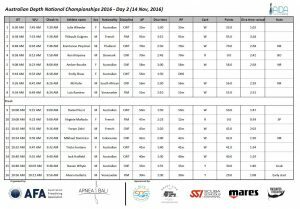 The 2016 Australian National Depth Champions were Amber Bourke from Brisbane Freedivers and Jack Hatfield from Sydney Freedivers. 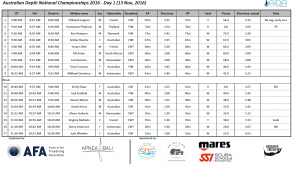 Apnea Bali, Sydney Dive Safari, Mares, SSI and Encounter Freediving.